…including banana bread! well, i’m assuming it will – waiting until tomorrow to give it a try. i don’t know why this never occurred to me before, but that’s what pinterest is for! i saw a photo of this bread and immediately had to give it a try. i decided to forgo the marble effect and just mixed in the nutella with all of the batter. it was amazing how the nutella changed the consistency of the batter – it had the usual banana bread consistency, sort of lumpy and wet, and the nutella transformed it into an almost whipped, thick batter that would rise up the length of the beaters and puff out. that translated to a gorgeous loaf that rose a good inch above the top of the pan, with a beautiful split top. we’ll see tomorrow if it tastes as good as it looks! 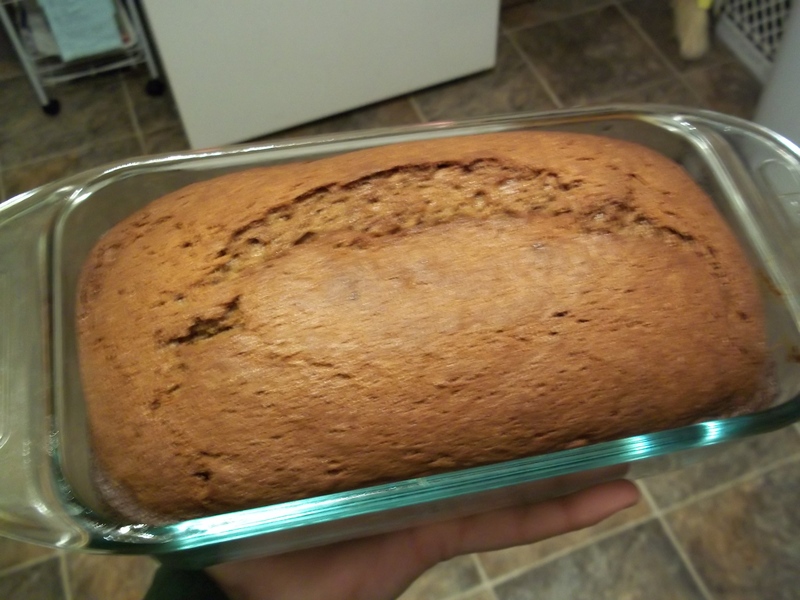 This entry was posted in Baking and tagged baking, banana bread, bread, breakfast, brunch, nutella. Bookmark the permalink.